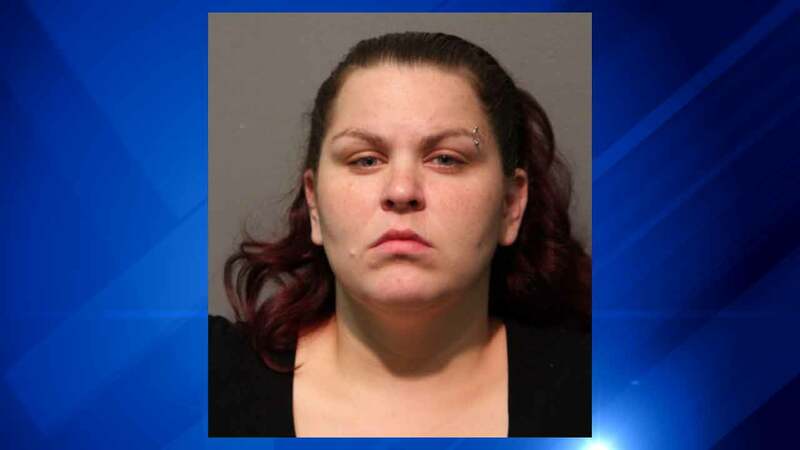 CHICAGO -- A 25-year-old woman planning to take a train to Pennsylvania was arrested after police found she was carrying 5.5 pounds of crack cocaine and other drugs, the Chicago Sun-Times is reporting. When police searched Michelle Ramos at Union Station before she was able to board a train Saturday, they found, along with the purple neck cushion she carried for the long trek, a stash of crack cocaine worth $307,000, Cook County prosecutors said during a court hearing Sunday. Police also found 99 ecstasy pills worth nearly $2,500 on the street, a pound of marijuana worth $7,264 and 50 grams of heroin worth $5,600, according to prosecutors and court records. She also had $11 in cash. Ramos, of Erie, Pennsylvania, was targeted as part of a narcotics investigation. She faces multiple counts of drug possession. Ramos was ordered held on $75,000 bail by Judge James Brown.